I’ve mentioned a number of times about the gourmet club that I am in. For details about what all that is, take a look here. I’ve had a lot of great dishes at our club dinners and while I collect the recipes, I’ve only made a few of them afterwards. I’m not sure why. Maybe because I post them here when I have them the first time. Maybe I don’t want to spoil the memory of the great dish I had at the club. Maybe I’m just lazy. Who knows. This is one, though, that I did make. My brother-in-law had made this awesome salad after he had it at a local restaurant, J. Alexander’s. 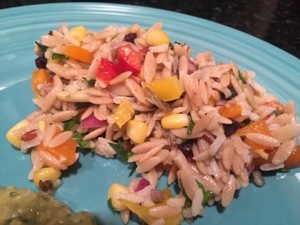 Despite the orzo and rice, it is a surprisingly light dish and full of summer flavors. 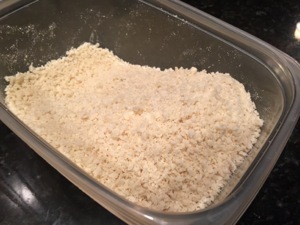 I subbed in some white rice and it worked just as well. Make this tonight. You won’t regret it! For the dressing: Place all the ingredients in a mixing bowl, except the olive oil. Stir until blended and then while whisking the dressing slowly pour the olive oil in a steady stream. Refrigerate. Cook the orzo and wild rice according to package directions, shock in cold water and then refrigerate. Put all ingredients into a large mixing bowl and toss with the dressing. Refrigerate for at least an hour or two so the dressing can soak into the ingredients! 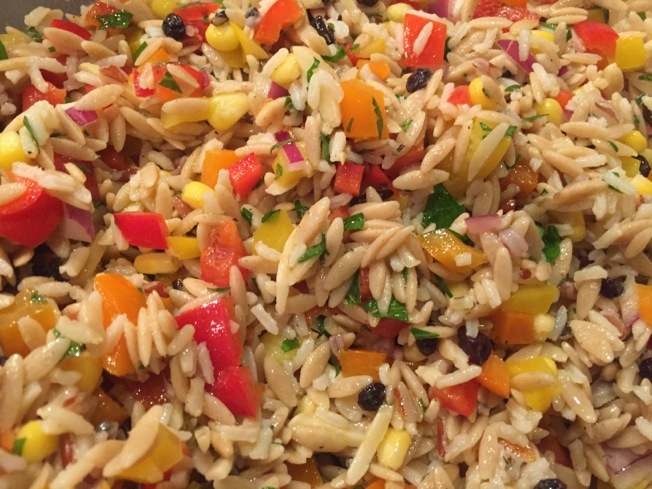 *When I was making the wild rice and the orzo, I used 2 cups uncooked wild rice and a whole 1 lb box of orzo, I did have some remaining, but you can just save it for another dinner later in the week! This looks awesome – I would love this! Definitely a keeper…I love this one too…glad you made it again.